Stamp! Stack! Serve! 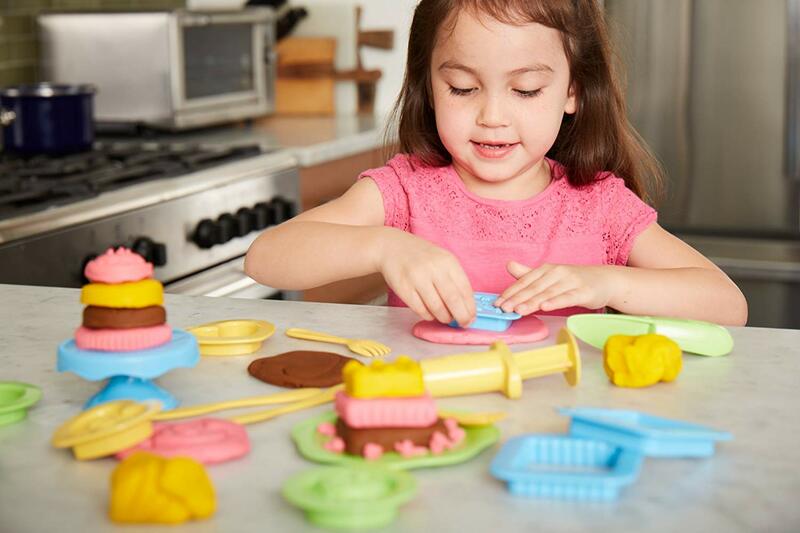 Unleash your child’s inner baker with this 20-piece Green Toys cake maker dough set. Intended for kids ages 2 to 8, it lets youngsters build, stamp and frost colorful play cakes. This Green Toys cake maker dough set includes three tubs of dough made with organic flour in a food-safe facility, and 17 cake making accessories! Hop on over here to grab this set for $13.45!